A Crane is a specific heavy-duty construction equipment. It is a tower, platform or derrick equipped with hoist ropes, wire ropes or chains, cables, pulleys and hooks that enable to lift and lower materials from one place to another and to move them horizontally. Cranes are suitable for the construction industry, civil engineering as well as manufacturing of heavy equipment. Customers can specifically use the cranes when constructing buildings and tall structures, bridges, overpasses or laying pipes. There are several crane types used in construction, depending on the type of work they are assigned to. Mobile cranes are versatile and standard machineries in today’s construction. The machine consists of telescopic boom mounted on a mobile platform, which could be wheeled, tracked (crawler) or a rail. The boom can be hydraulically raised or lowered. Obviously, mobility is the biggest advantage of this crane as there is no need for an additional transport vehicle. Crawler cranes can move on almost every surface, but they travel on slower rates than their wheeled counterparts. Tower cranes are fixed to the ground in concrete or attached to the side of structures, providing the best combination of lifting height and lifting capacity. Large tower cranes can reach a height of several hundreds of metres, which makes them optimal for construction of tall buildings. 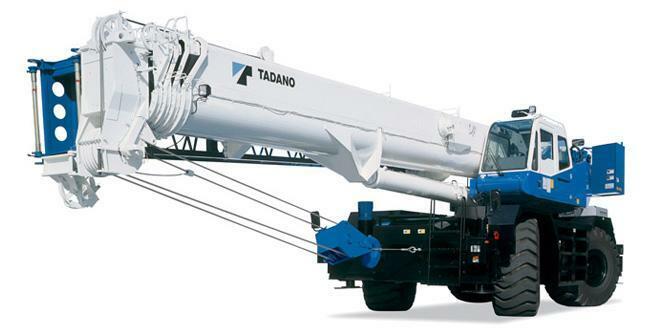 Truck-mounted cranes operate with one engine which means that the undercarriage and crane mechanism share it. These cranes are mounted on a rubber tire truck providing enhanced mobility. Railroad cranes operate and move on the railway track. They are used for railway lines construction and maintenance as well as for repairing. Rough terrain cranes are designed for off-road applications. They are mounted on an undercarriage with four huge rubber tires suitable for challenging environment. All-terrain cranes are very versatile as they can travel constantly on and off the road in all climate conditions. All-terrain cranes are usually equipped with more than four rubber tires.